We are the noted organization enthusiastically engaged in manufacturing and supplying a wide variety of Hand Remover Presto Type. We are dedicatedly engrossed in manufacturing, exporting and supplying a wide range of Presto Type Hand Remover. 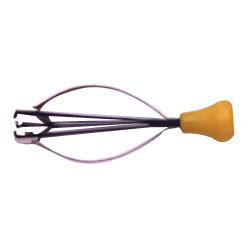 We are engaged in offering Hand Remover Presto Type for holding tweezers. Fabricated using Stainless Steel, the Hand Remover Presto Type offered by us are high on demand in the national and international markets. Clients can avail the same at most reasonable prices and in different sizes. We are proficient in offering our clients with Hands Remover Presto Type, which is designed with utmost precision in order to facilitate hassle-free operation. It is used to remove the hands of the watches and corrosion resistant. Our clients can avail this remover with weighing 35 gm and as per their requirements. In order to meet excellent quality standards, we are supplying Presto Hand Remover. 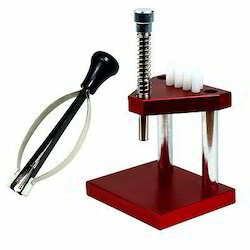 We are providing the Best Quality of Presto Watch Hand Remover.